Influence is a new series of events lead by forward-thinking Brightonians who are making a name for themselves in the city and beyond. 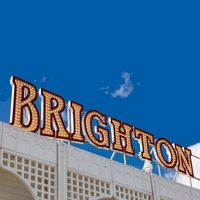 Come along to Brighton's first co-working members' club for an hour of inspiration and insight into what's going on in the lives of some of the most up & coming influencers around. We're proud to announce that our first Influence event is going to be hosted by Lois O'Hara. You’ve probably already heard of or seen Lois O’Hara’s work. Lois is an Artist / Designer from Brighton, UK and she’s making her mark all over the city. Her vibrant, diverse and creative practice takes in Mural Painting, Design & Art Direction, Printmaking and Moving Image. Her brand ethos has a consistent thread running through it. “I’m interested in capturing the fluidity of an image in motion,” says Lois, and it’s this sense of fluidity, combined with her bold colour combinations that makes her style so recognisable. Lois’s artwork is influential and powerful. She is passionate about how colour can have positive effects on people and places. 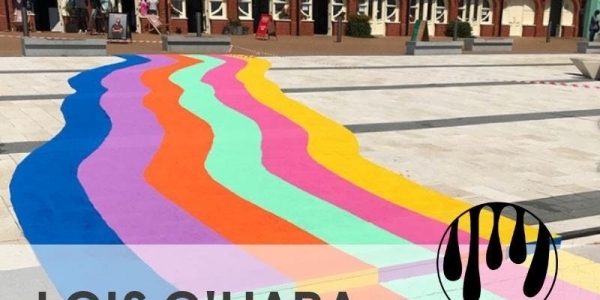 She recently designed and painted the UK’s 1st ever giant Basketball Art Court (picture below) but Brightonians are most likely to recognise her work on the seafront in the form of the beautiful, wavy rainbow near the West Pier. We’ve been lucky enough to get Lois to paint our roof terrace at The Projects and get her to answer some of our questions so click here to find out a little bit more about Lois and her plans for the upcoming year.